Help! 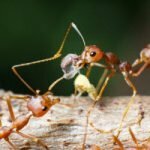 What to Do If You Need Fire Ant Control? Fire ant control helps prevent and stop the spread of these nasty biters throughout your property. Just don’t be fooled by the claims made by most consumer products. 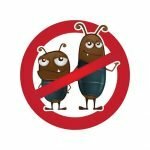 Solutions you buy off the shelf usually aren’t effective at preventing or rooting out infestations. For Georgia homeowners, a combination of solutions may be needed to provide adequate relief. Treat large areas with multiple bait products. Whether you have a lawn or an acre, baits will become an essential element in clearing up a fire ant infestation. You can use a tiny handheld spreader for a small yard, but a professional often uses a spreader attachment on a riding lawnmower to cover large yards or wider spaces. Baits are especially helpful when they last long enough to be taken back to a colony, where they can impact the growth and development of young ants and of the colony queen. However, a variety of baits available in slow- and fast-acting formulas go a long way in getting wandering workers out of your way. 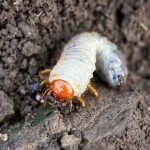 The fastest kill on contact while the slowest formulas work over a matter of weeks and focus on wiping out colonies instead of individual pests. Baits can also be found in organic compounds. These aren’t as dangerous as insecticides capable of contaminating surrounding vegetation or ground water. However, they are moisture sensitive; so, rain and even watering for lawn maintenance can have an impact on their effectiveness. Treating individual mounds can be handled quickly with the right products. This is where pest control training really shines, as fire ant solutions can easily cause damage to your property. It’s important to use the appropriate tools for application and the right amounts needed. In fact, many of the best products are only available to professionals who have the appropriate training to use them. Before signing any contracts, it’s important to talk with your provider about the treatments used and how they’ll impact the rest of your home and family. Special bait products exist for mounds you can’t treat in any other way. Colonies buried under sidewalks, homes or outdoor structures can harbor thousands of dangerous fire ants. Baiting can help tackle 80 – 90 percent of existing colonies. Unfortunately, as soon as one group of ants moves out, another can move in. For Georgia homeowners in hot spots, regular maintenance treatments may be needed. Want the kind of fire ant control capable of keeping you safe and comfortable this summer? Get started on your maintenance plan sooner than later. This two-step plan of attack can keep you safe all season. Call Think Green to schedule fire ant control service at (678) 648-2556.